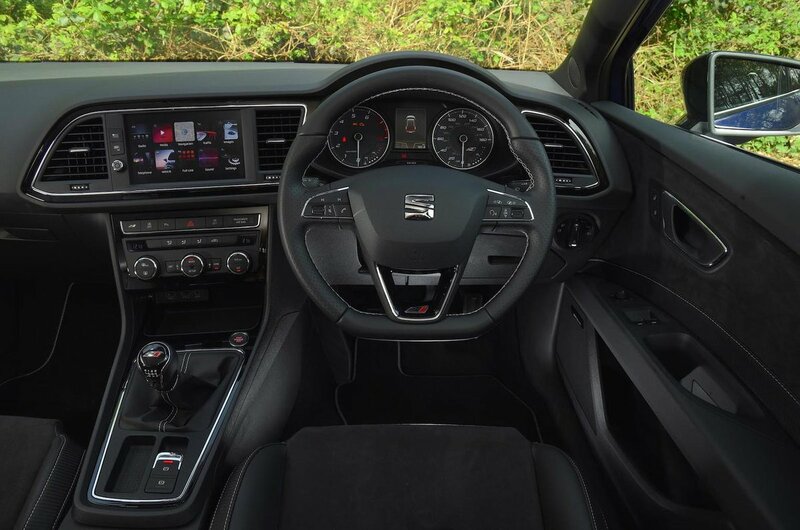 Seat Leon Cupra 300 Interior, Sat Nav, Dashboard | What Car? Getting comfortable behind the wheel of the Leon Cupra 300 is easy, thanks to its wide range of adjustment for the seat and steering wheel. There's even height and lumbar adjustment for the driver and front passenger. And once the seat is set to your desired position, you’ll find that it holds you in place well when cornering and remains comfortable even after a long drive. The dashboard is logically laid out and easy to use, and if you've spent time in other Volkswagen Group cars, you’ll spot plenty of familiar switches – this is a good thing, because they all work with admirable precision. And, to be fair, the interior as a whole has a decent feel, with many of the primary touch points hewn from quality materials. The problem is that there's none of the attractive veneers some rivals have to lift the ambience, so the interior looks a bit drab and it isn’t at all hard to find lower-rent plastics on show. 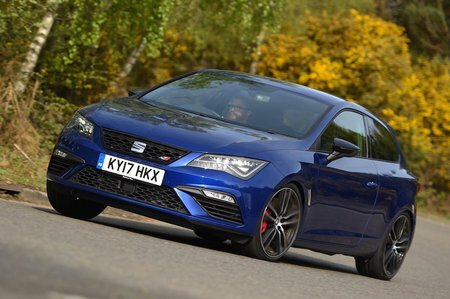 This might be fine in the cheaper Leon models, but when spending as much as the Cupra costs it's fair to expect more. 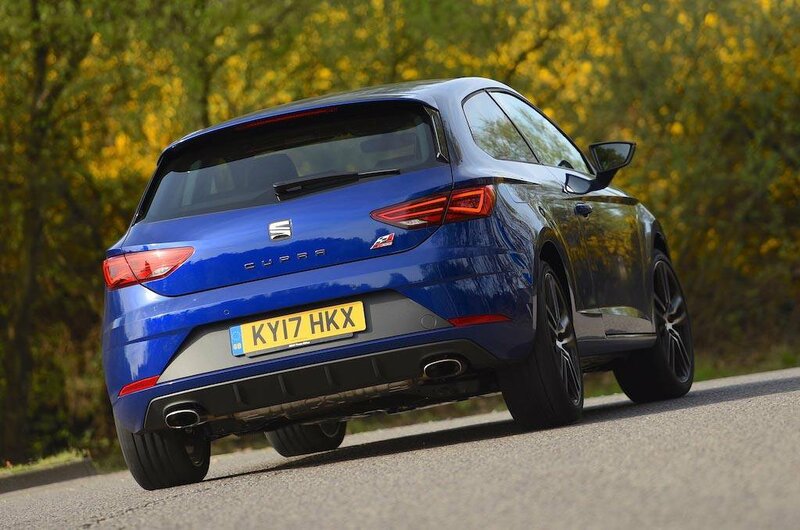 A few choice details segregate the Cupra from lesser Leons, though: a hand-stitched leather, a flat-bottomed sports steering wheel, Alcantara trim on the doors, supportive sports seats embossed with the Cupra logo, alloy pedals and ambient LED lighting. The touchscreen infotainment system is pretty easy to use and way better than that in the Honda Civic Type R. Okay, the smartphone-style pinch function for the map isn’t very responsive, but the rest of the menus are, while the graphics look fairly sharp (although not as sharp as the VW Group's latest infotainment systems, which you'll find in the Golf R). The system comes with sat-nav, Full Link (for operating your smartphone’s apps from the screen), Bluetooth and a DAB radio. You also get stereo controls on the steering wheel. There's a multi-function colour display between the rev counter and speedo or, for a reasonable additional cost, you can opt for fully digital dials that can be configured to display useful things such as full-screen navigation maps.